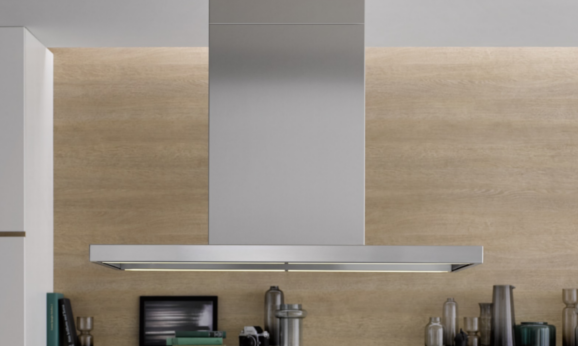 The tilted design of headroom extractor hoods is especially useful for tall people, as it enables them to comfortably lean over the hob. 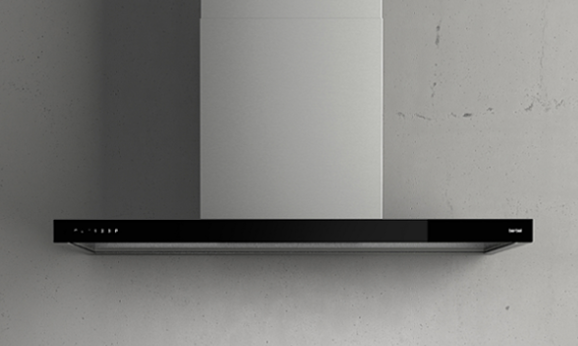 berbel headroom extractor hoods ensure that you can keep what&apos;s most important in view when cooking. 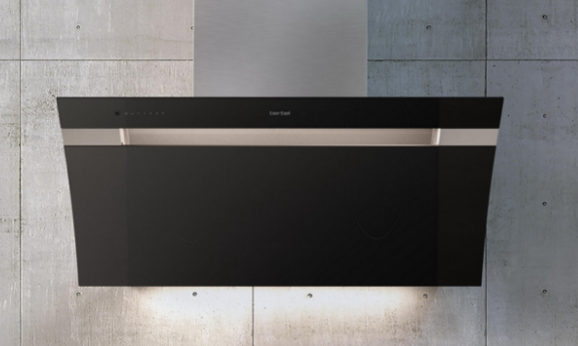 The flue-less extractor hood Smartline in particular is an attractively understated contemporary eye-catcher for your kitchen. Our remote controlled headroom extractor hoods are an excellent choice for all those who appreciate convenience in their kitchen! Plenty of space for creative cooking! It’s possible with berbel’s high-quality headroom extractor hoods. If things get hectic when you're searing steak whilst braising onions, you'll still keep on top of things. 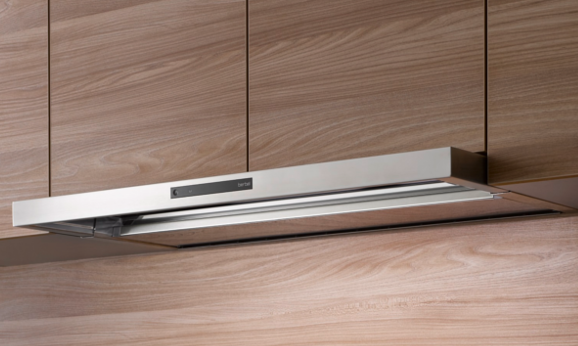 What’s more, the headroom extractor hoods are easy to clean, too. It doesn’t get any better than that! When it comes to quality, they have impressive stainless steel bodies, a powerful and quiet EC motor, and innovative BackFlow technology (depending on the model) to prevent the formation of condensate on the decorative glass. 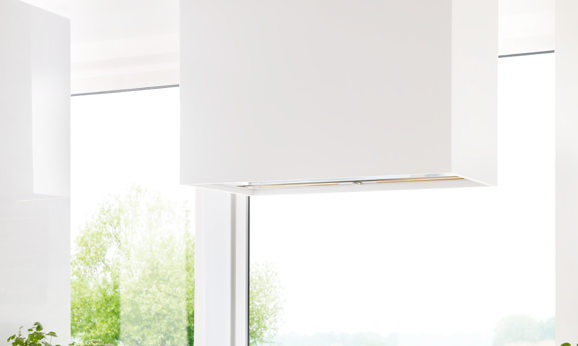 Whilst in use, these headroom hoods are whisper-quiet: Thanks to the energy-saving EC fan motors, berbel extractor hoods work really quietly. 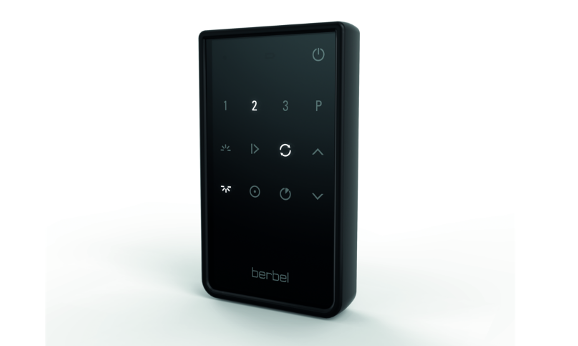 In exhaust air or recirculation mode, berbel's headroom extractor hoods deliver top performance. 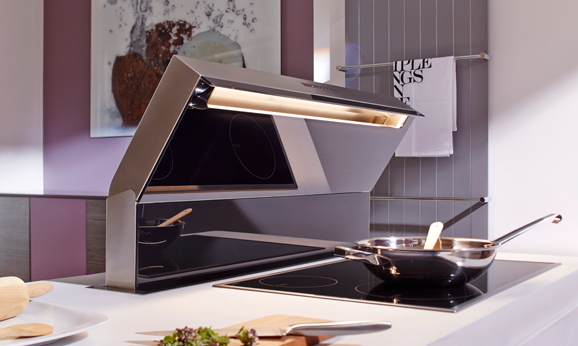 The hob lighting with modern LEDs provides an atmospheric ambience. Nothing more is standing in the way of a cosy kitchen party!